In the 1980s, when the Cascade was being constructed, architect Jim Torosyan (1926-2014) invited sculptor Artashes Hovsepyan (1931-2017) to design one of the galleries in the future complex. 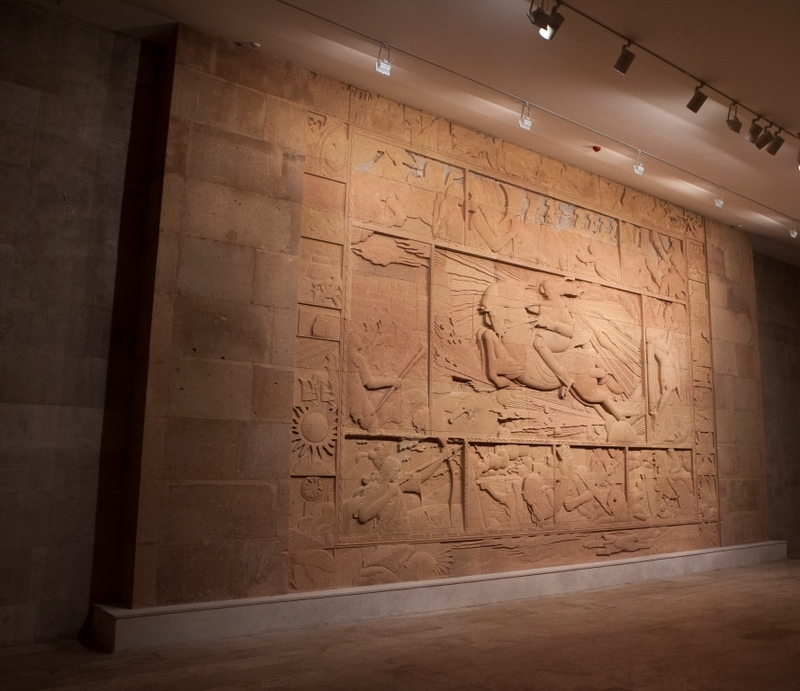 The artist with the help of four masons worked for four years in the hall which is now called Sasuntsi Davit Gallery. The national epos was always captivating for the sculptor. He had already had the opportunity to create reliefs relating the Armenian epic poems in Sasuntsi Davit Subway Station: Great Mher, Little Davit and Qurkik Jalali, Davit the Shepherd, Little Mher and other works attract attention by their monolithic composition, simple decorative and rhythmic array, as well as monumental-stylistic symbolic forms.